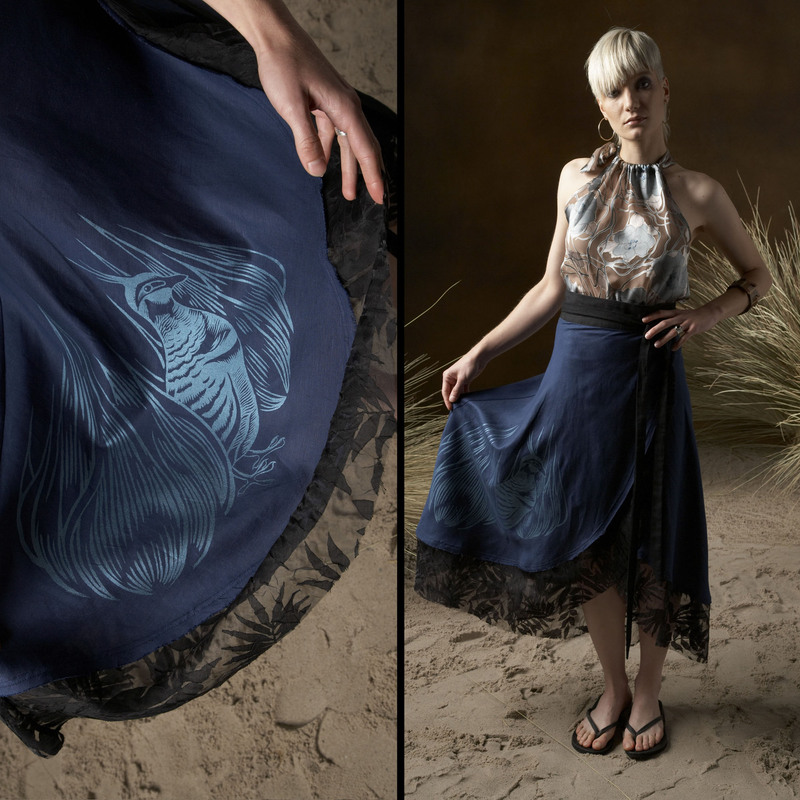 The bias cut linen Spinifex Skirt is named after the Spinifex pigeon, native to particular arid parts of Australia. Nomadic in nature and often found in pairs or groups, the bird conjures a sense of travel, adventure and long journeys ahead. The beautiful Spinifex pigeon and grasses print was designed and printed by artist/printmaker Tim Growcott.